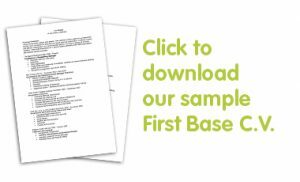 As part of our 20th birthday celebrations we have launched the First Base Good Recruitment Campaign. Throughout the next few months will be sharing the tips learned from working with hundreds of great local employers to help organistions reinvigorate their recruitment activities and ensure they attract, employ and retain the very best people. At a time when candiates across all sectors and at all levels are being more discerning about the jobs they apply for; good people are in high demand. The best candidates do their research and check out an employers reputation before deciding whether to even apply. They are aware of good recruitment practice and make employment choices based on their experience through out the recruitment process. In this social media age they also tend to share their good (and bad) experiences far and wide. By sharing best practice recruitment tips learned from our clients over the past 20 years, we hope to equip organisations with the information they need to help them find the employees that will make an outstanding contribution to the goals and ambitions of their organisation. In October 2017 we plan to run a Good Recruitment seminar for our clients. 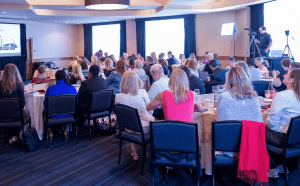 With expert speakers and a facilitated panel discussion, the event will bring together business owners, senior mangers and HR professionals. More details will appear soon, in the meantime if you would like to know more about either attending or speaking at the event contact First Base MD Tricia Hay at tricia.hay@first-base.co.uk.